Deadpool is running for president, so you should probably sign his petition at New York Comic-Con 2013. 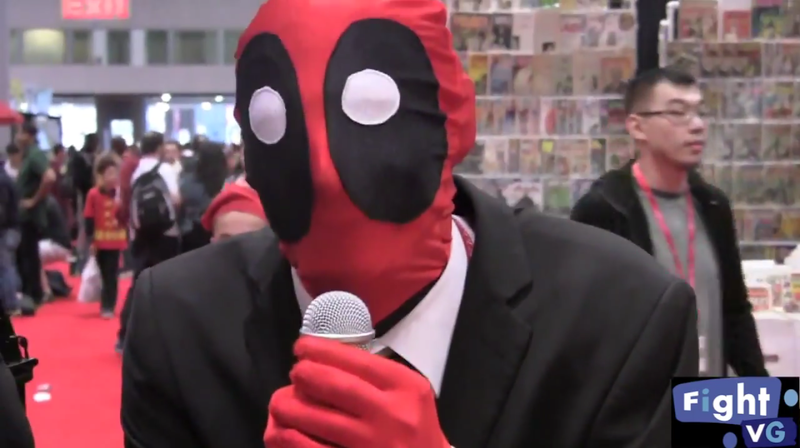 Watch our exclusive interview featuring the "Merc with a Mouth" inside. Always expect the unexpected with Deadpool. At the 2013 New York Comic-Con event, FightVG caught up with the Marvel fan favorite. Playing the masked mercenary was Mike, who initially refused to be recognized by his real name in favor of Wade Wilson.